Charcoal has been has an important part of beauty and health regime from ages . Its just not only beneficial in cleaning your skin but also have enormous health benefits too. Today I am going to review about a product by Beauty Formula's that is their Facial Scrub with Activated Charcoal . 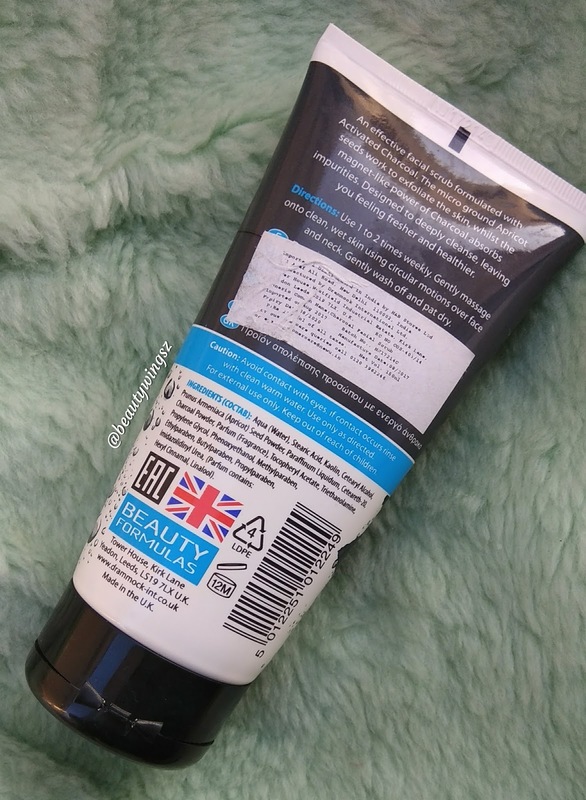 I have not used any product from this brand before but the charcoal ingredient grabbed my eyeballs , So i thought giving this product a try .Beauty Formula's is U.K based brand which i discovered from the back of the product . 2. Helps the removal of blackheads and unclogged pores . 5. Leaving you feeling fresher and healthier. Beauty Formulas charcoal facial scrub helps absorb impurities, remove blackheads and unblock pores. 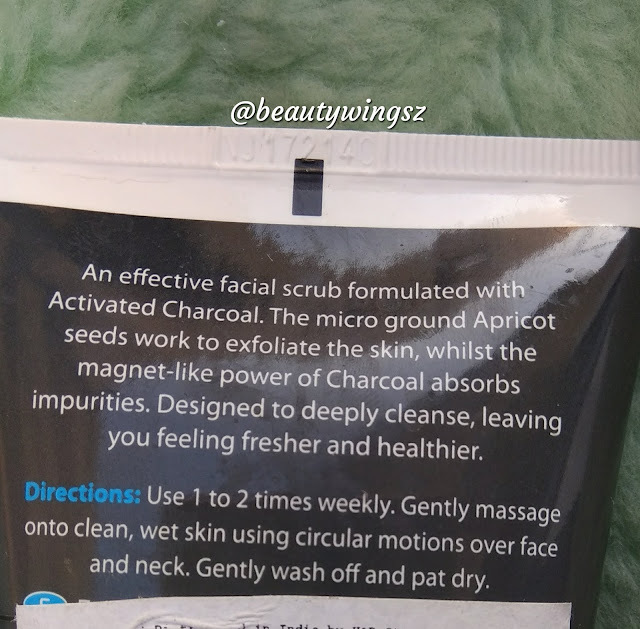 Along with charcoal powder, it contains apricot seeds to help keep your skin healthy and fresh. 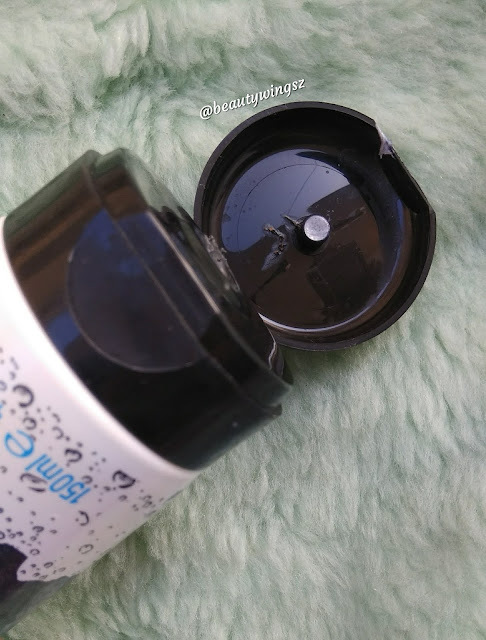 Activated charcoal in it draws bacteria, poisons, chemicals, dirt and other micro particles to the surface of skin, helping you to achieve a flawless complexion and fight acne. 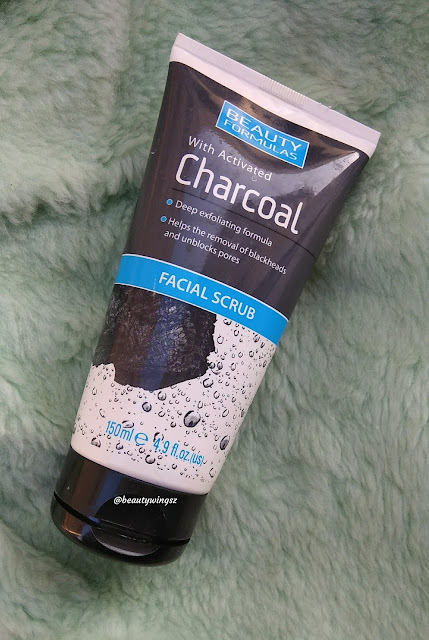 Beauty Formula's Facial Scrub with Activated Charcoal is easily available at a price of Rs. 275 ,I bought it from NewU , with shelf life of three years for 150 ml. Beauty Formula's Facial Scrub comes in a squeezy tube with flip top opening which makes it super easy to use and travel friendly too . 1. Its not plain black but a greyish base with black colored scrub granules in it . 2. The granules are not tightly packed . 3. Yes , There is an added fragrance but not too harsh . 1. I use this scrub almost twice a week and yes clean my skin thoroughly and I feel refreshed after that . 2. For blackheads part as like most of the scrubs only itself is not sufficient to remove blackheads or whiteheads but you also need a tool to remove them properly . 3. It did not break me out . 4. 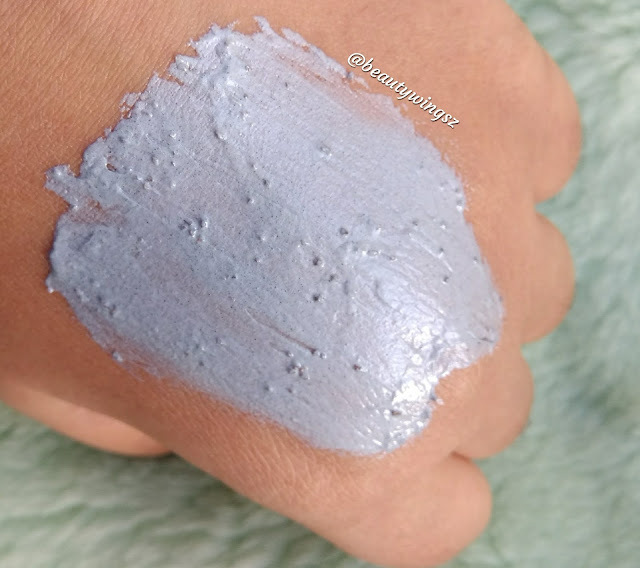 The base feels like a charcoal mask like its that thick and does not produce any foam or leather . 5. I have dry skin but i does not leave me with dry skin after use . 6. Could not be very well suited for too oily skin though it has charcoal but its base is creamy and feels like unsuited for oily skin . 7. Has properties of Apricot seeds which are great for exfoliating. 8. Also , its travel friendly . 2. Doesn't too much for blackheads . 3. Could not suitable for very oily skin . 4. Does not do more than cleaning your skin.